No wired connection can deliver 100% uptime. Fortunately, there are practical, convenient, and affordable ways to ensure your organization is not disrupted due to an outage. In this webinar, our experts will discuss network failover solutions and next generation Out-of-Band Management (OOBM) through the cloud. 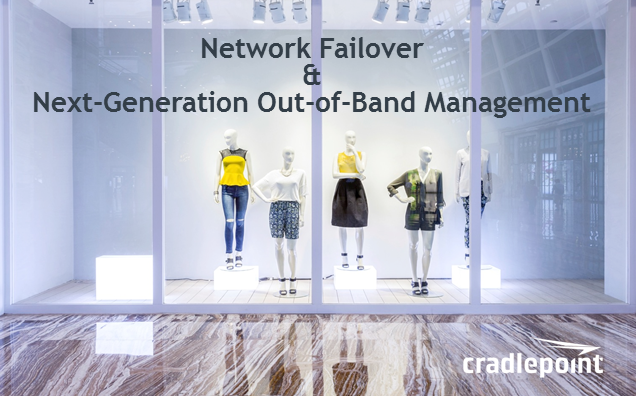 Next generation OOBM allows the ability to extend management capability to any primary router Out-of-Band without a static IP. Equipped with Power-over-Ethernet for flexible, unobtrusive placement anywhere to optimize cellular reception, this powerful solution reduces truck rolls, consolidates infrastructure, and maximizes uptime for businesses that require always-on connectivity. Join Cradlepoint and guest speaker Ken Silay, former director of technology for Chico’s FAS Inc., for a webinar to learn how businesses today are using Cradlepoint solutions for 99.999% network uptime. David Rush, Senior Product Manager, Cradlepoint / Ken Silay, former Director of Technology, Chico’s FAS Inc. Presented by: David Rush, Senior Product Manager, Cradlepoint / Ken Silay, former Director of Technology, Chico’s FAS Inc.